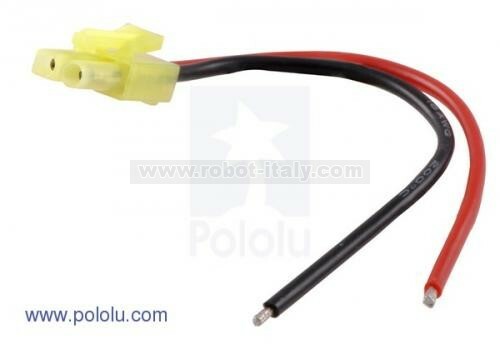 This is the female version of the connector (we also offer a matching male version, see related products). 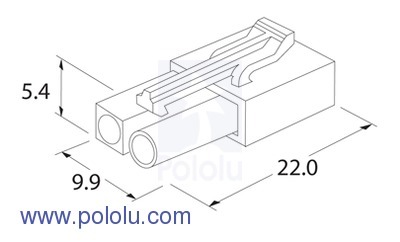 Two 10 cm 18-AWG wires are crimped inside the connector housing. 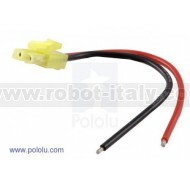 The leads have silicone insulation and stripped, tinned terminations.